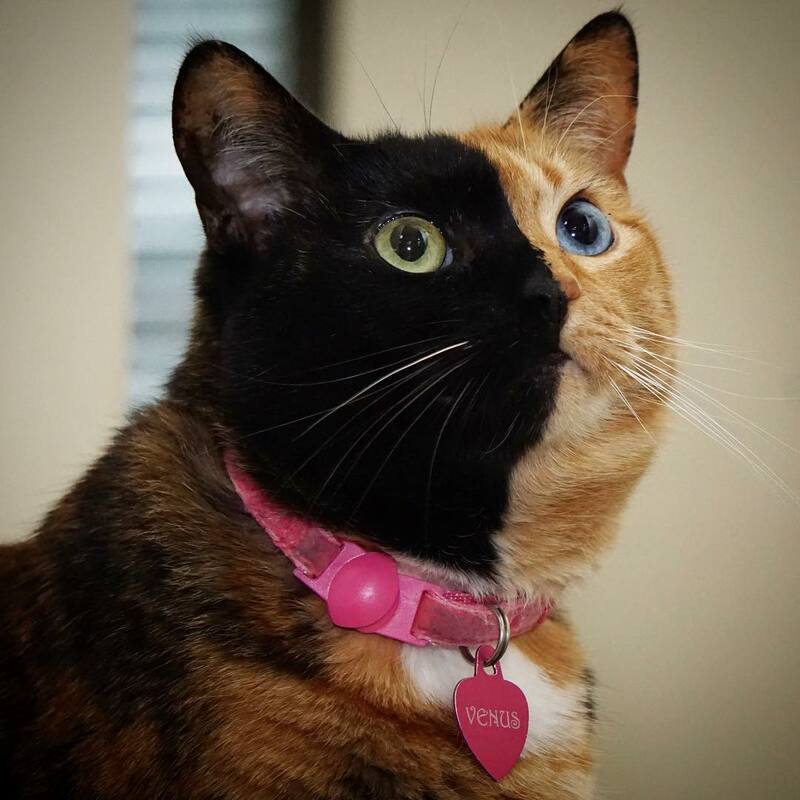 Venus has been an internet sensation since her Instagram photos went viral due to her unique look back in 2012. 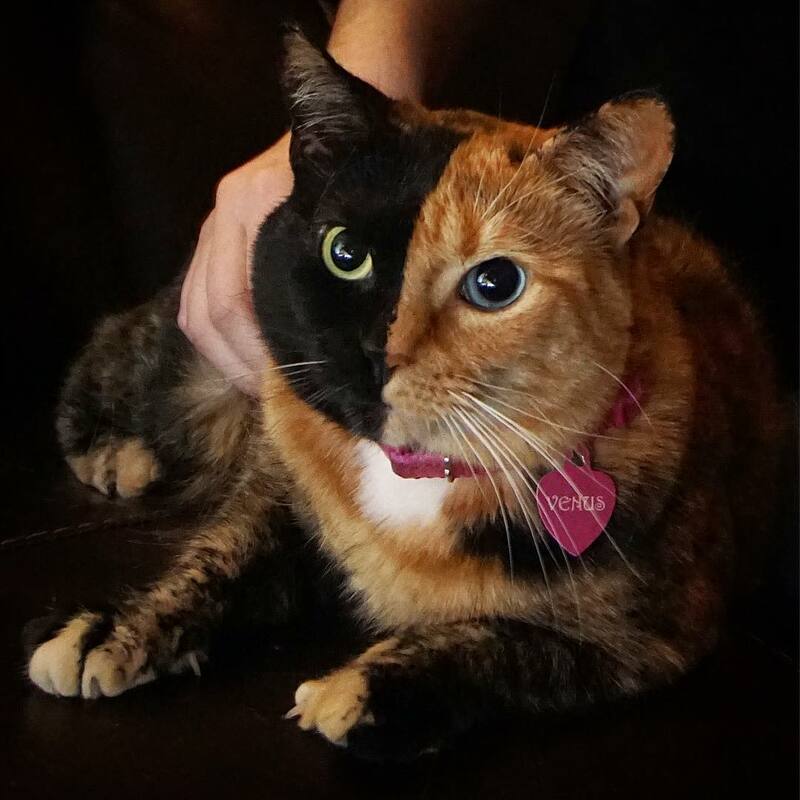 Venus’s signature look is known by her strike two-sided face coloration which is black on one side and orange on the other and tortoiseshell-style body coloring. 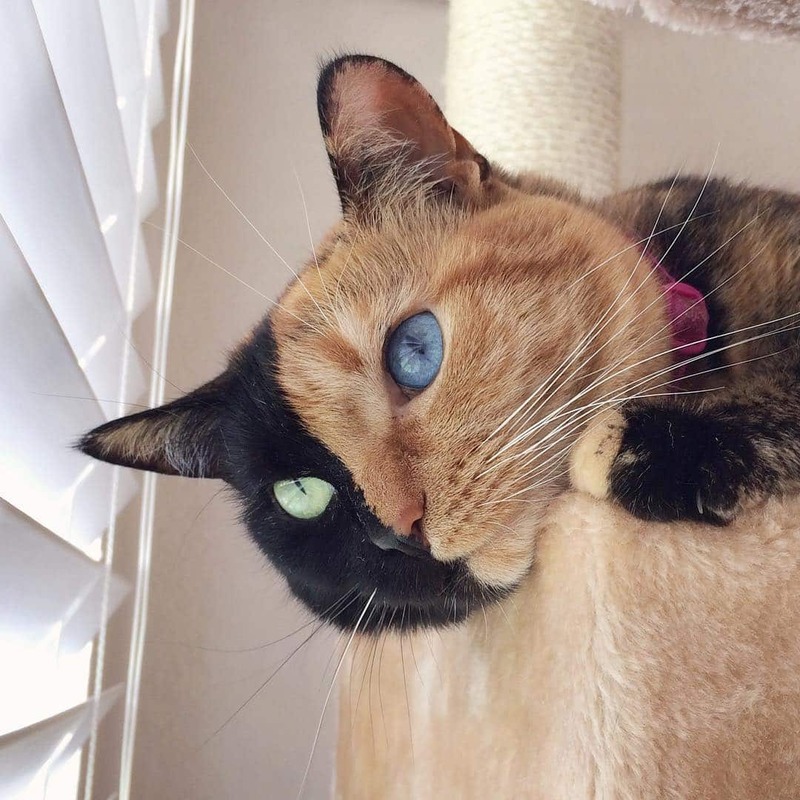 As if this wasn’t enough, she has heterochromia, on her black side, she has a yellow eye while on her orange side has a blue one. 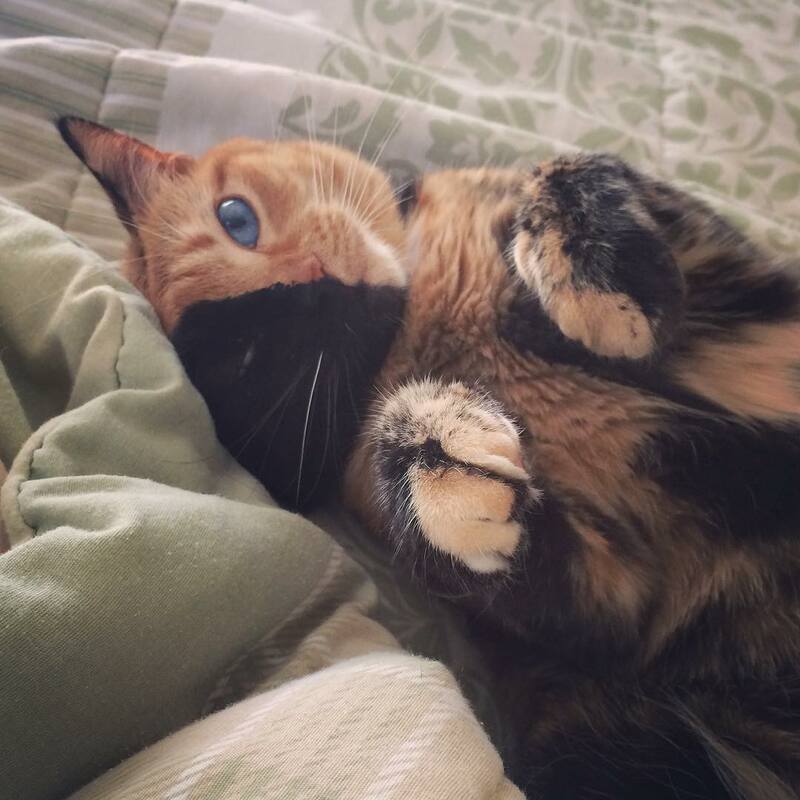 Venus’s owners Christina and Chris got her from the streets in North Carolina in 2009. 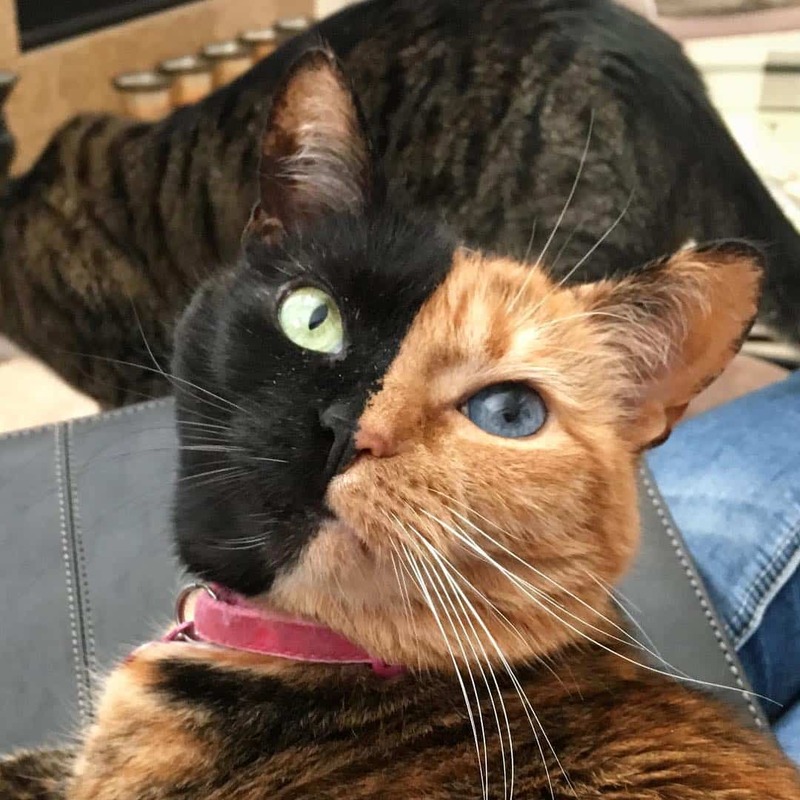 The couple has turned Venus into an advocate for diversity in the cat and human world by inspiring millions of people through her motivational posts on social media. 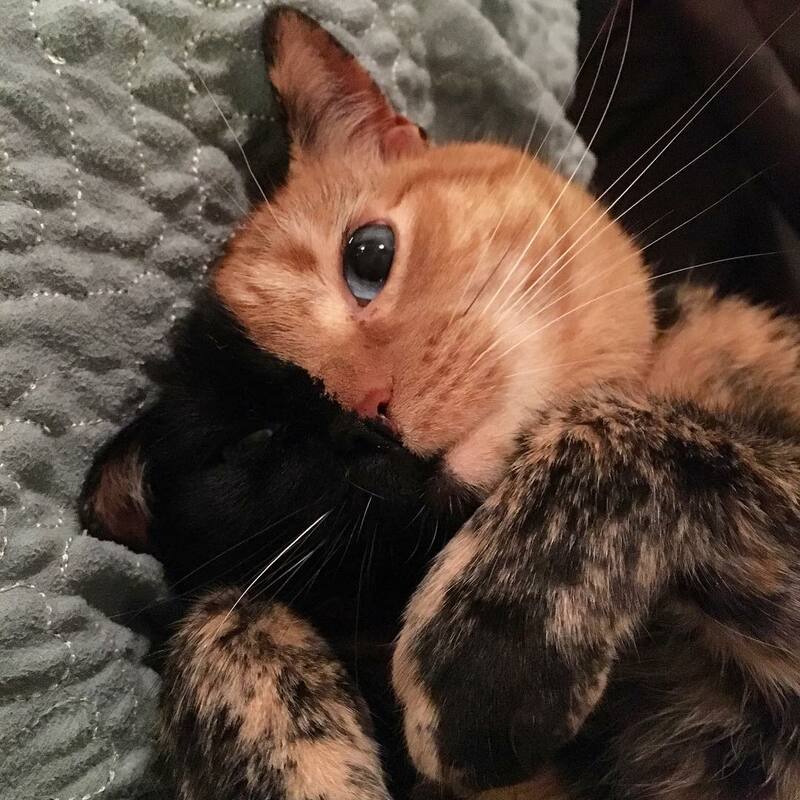 Keep reading to find out more about this adorable and unique cat celebrity. 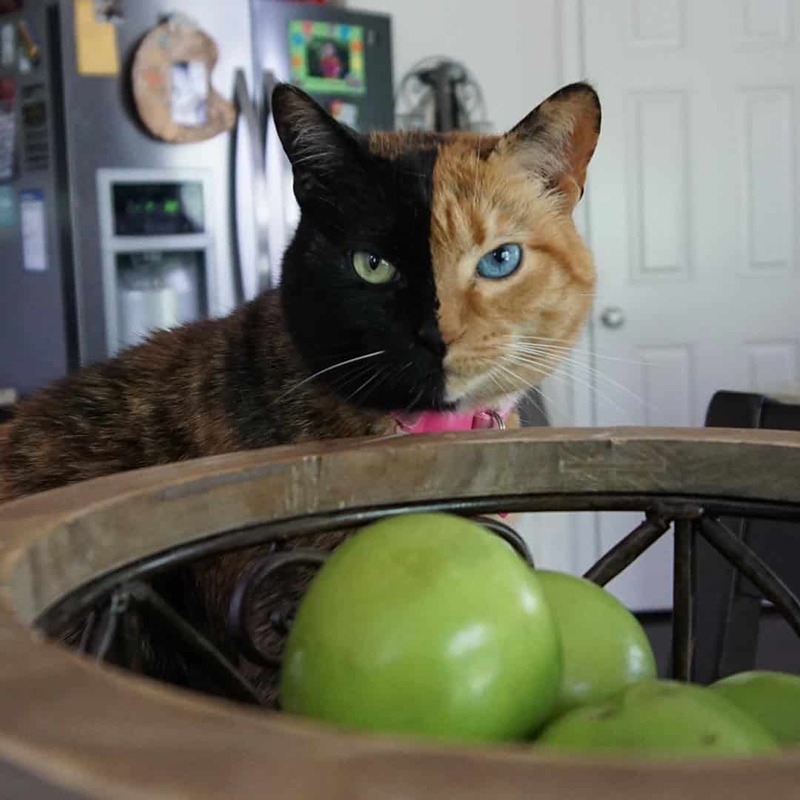 Since she went viral all over social media, some people have speculated that Venus is a fraud. 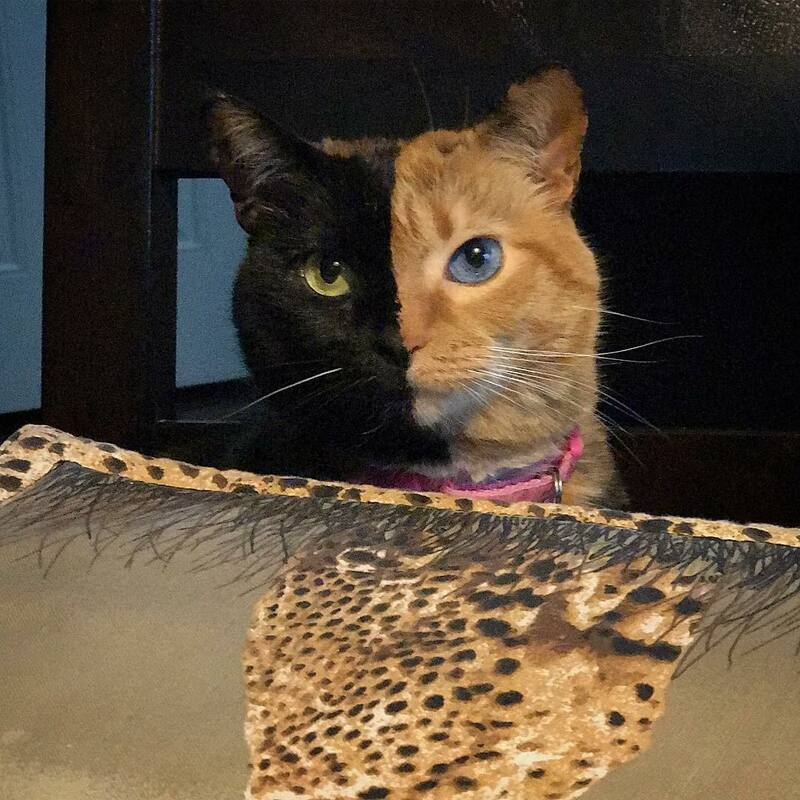 Haters have suggested that her owner has simply painted one side of her face. 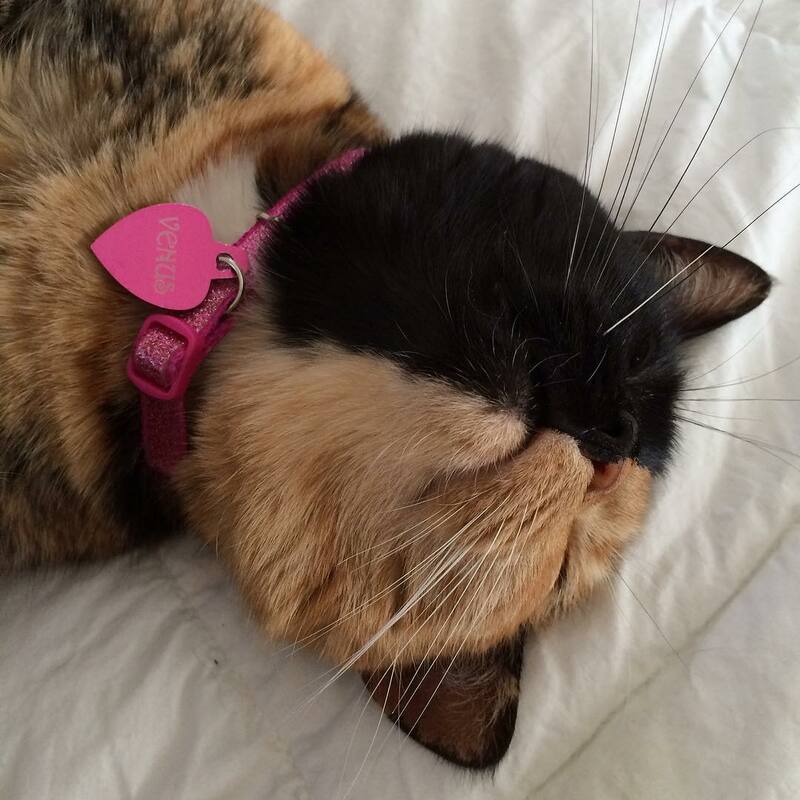 In response to those claims, Venus has taken over her social media (managed by her owners) to make it clear. 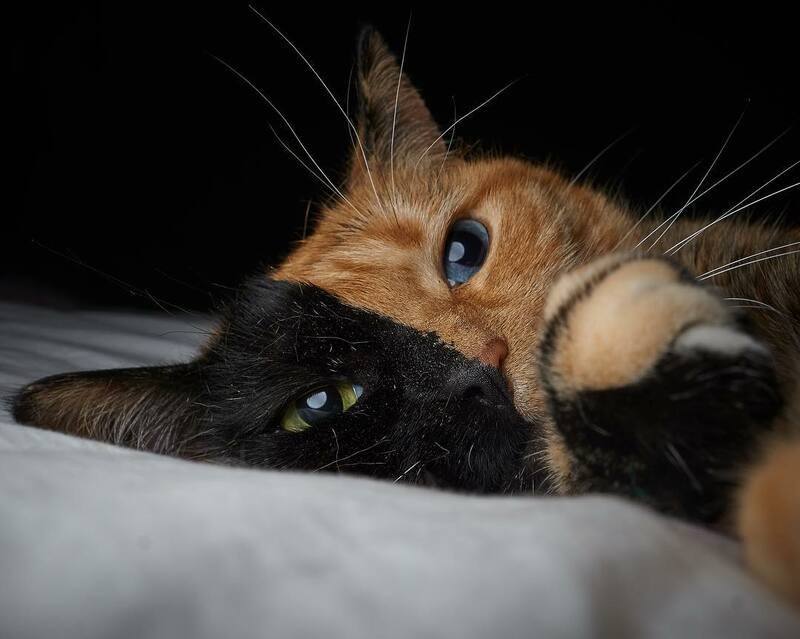 “I’m 100% natural. No makeup at all. Not even eyeliner” she wrote on her web site. 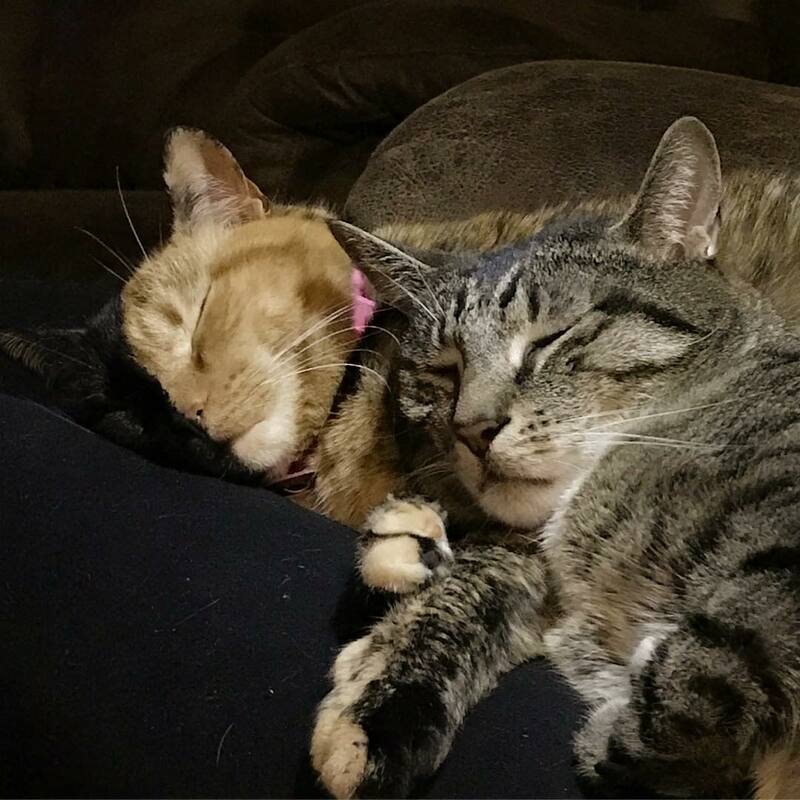 On the other hand, Venus is always receiving a lot of love from her fans. Her fans see her as a true inspiration due to her role as an advocate for diversity. “Be true to yourself and don’t change for anyone! 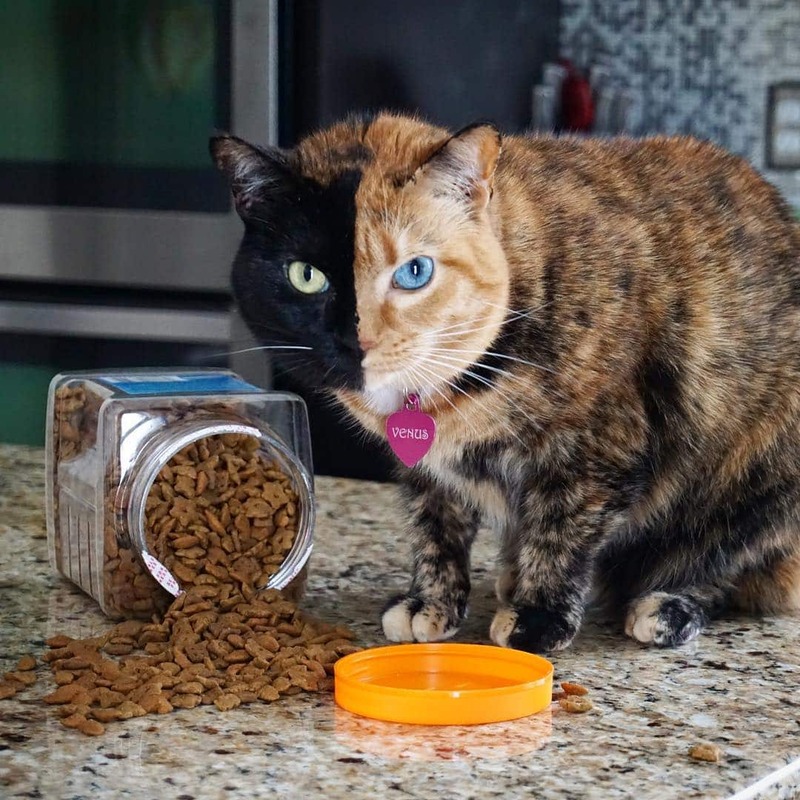 We’re not all supposed to be the same. 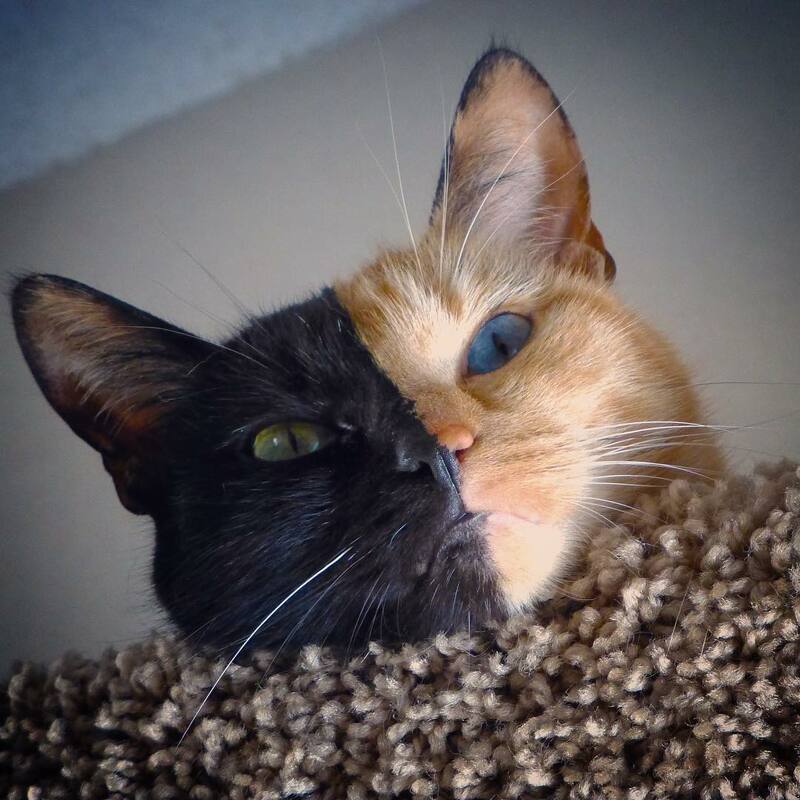 Our differences are what makes us unique which makes everyone one of a kind” she captioned in one Instagram photo. 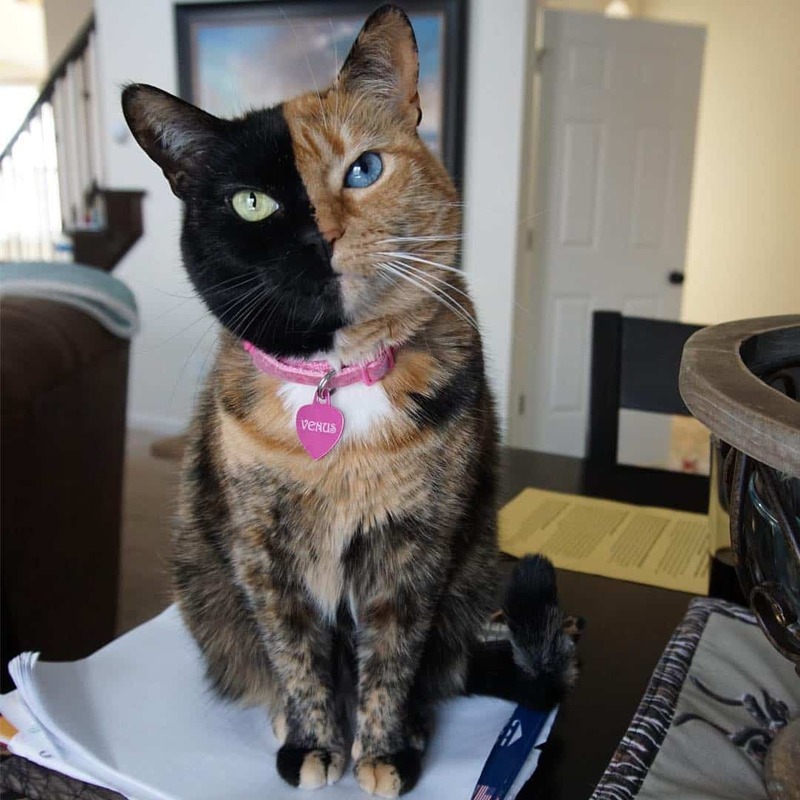 Venus was found in a dairy farm in North Carolina in 2009. 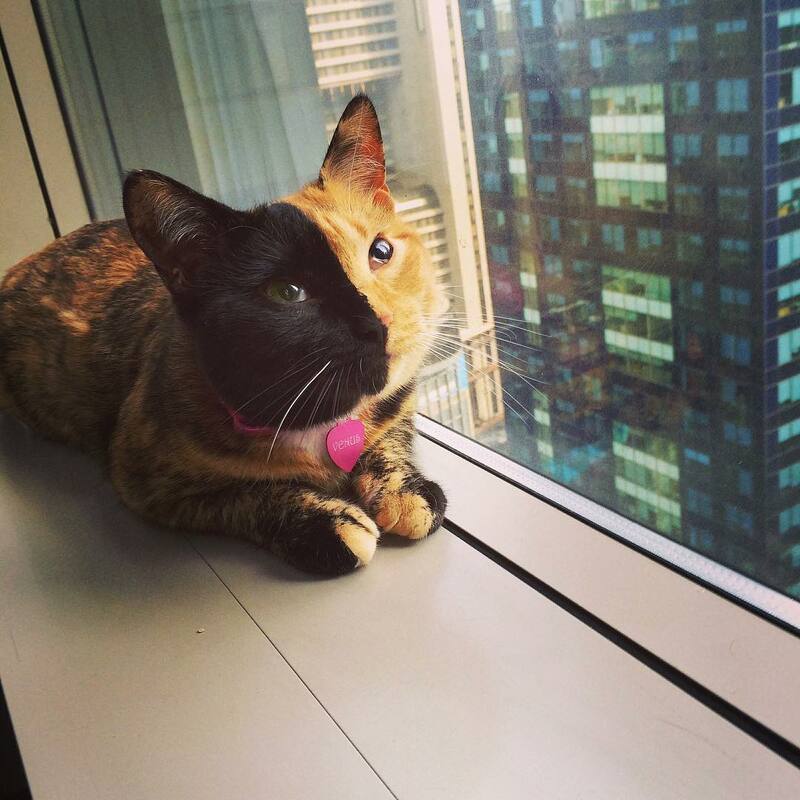 Her owners fell in love with Venus at first sight. 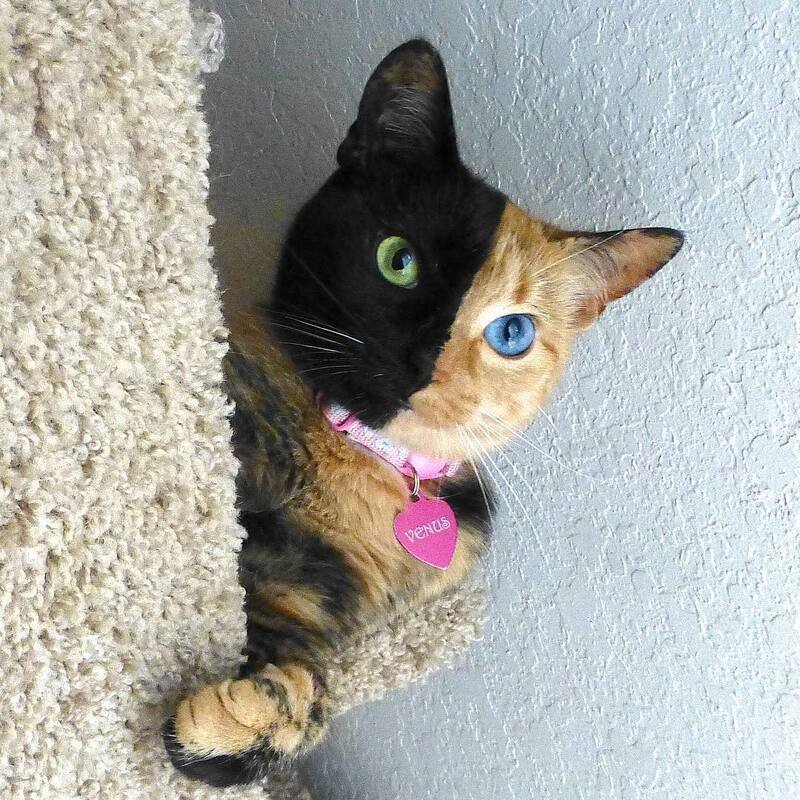 Christina and Chris were charmed by Venus because she looked like a mixture of their other two cats, an orange tabby and a black tuxedo. 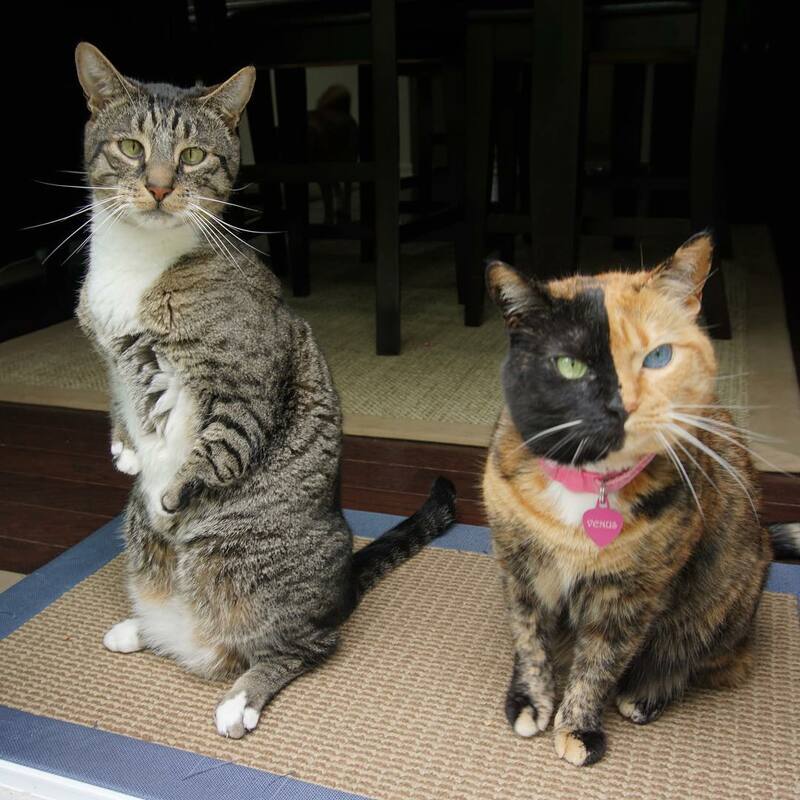 They were astonished by the distinct line down on Venus’ face. 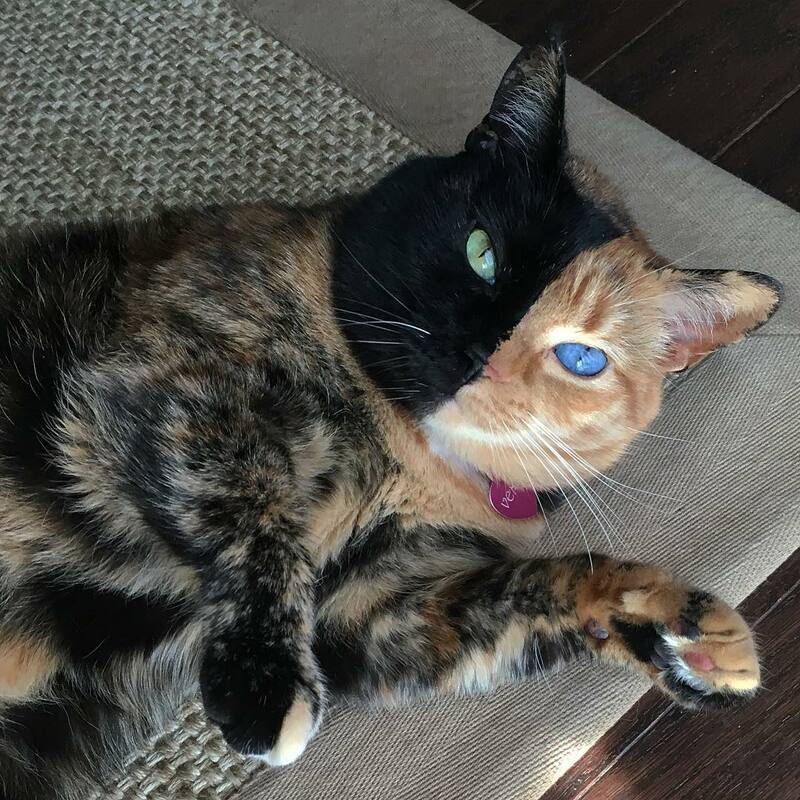 Venus’ unique look has turned her into a celebrity. Venus has appeared in National Geographic Magazine. And she has starred on numerous US TV shows. Venus look has been the subject of some scientific speculations. 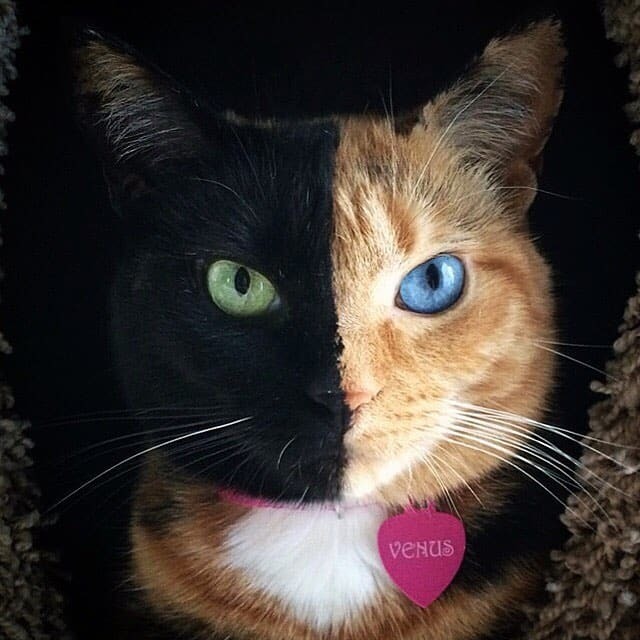 Her unusual coloring could be due to Venus being a “chimera” cat. 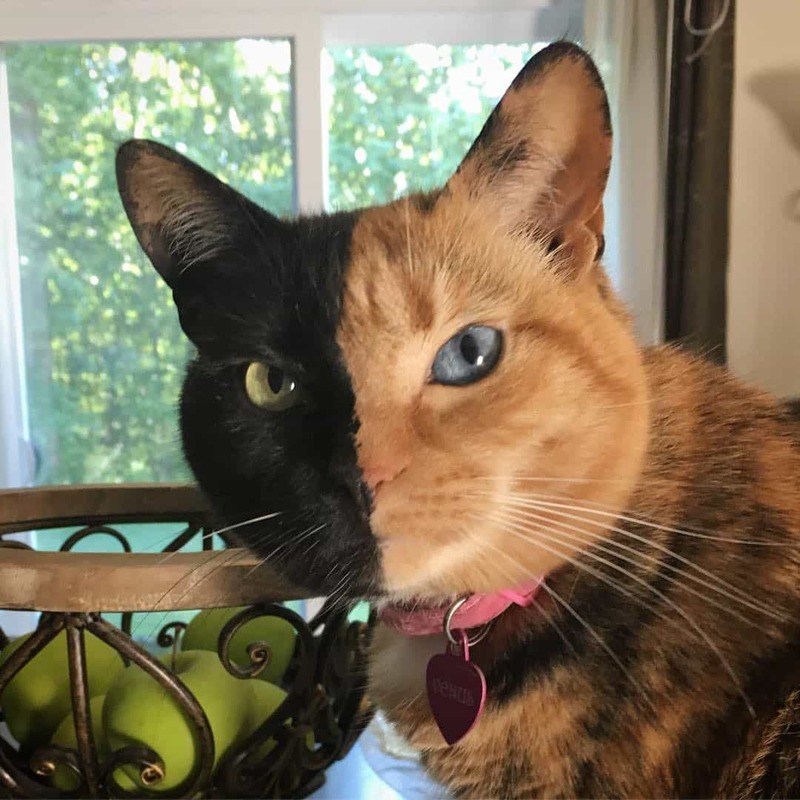 Cat-genetic expert, Professor Lyons, believe that black coloration was randomly activated in all the cells on one side of her face while she was developing. 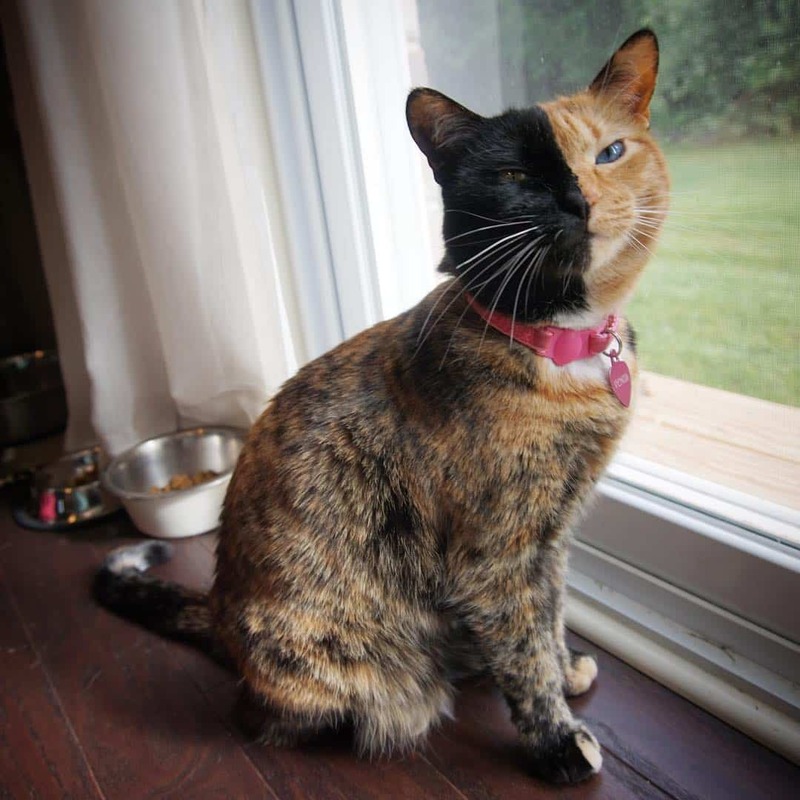 While the orange coloration was activated on the cells of the other side of her face. 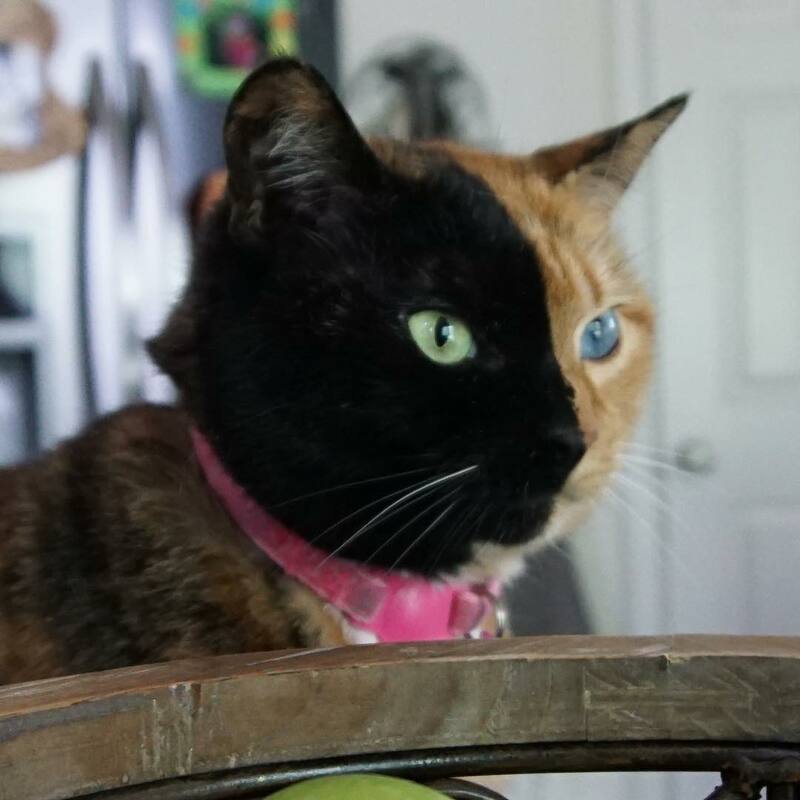 Finally, all colors met in the middle of her body while she was in the womb. 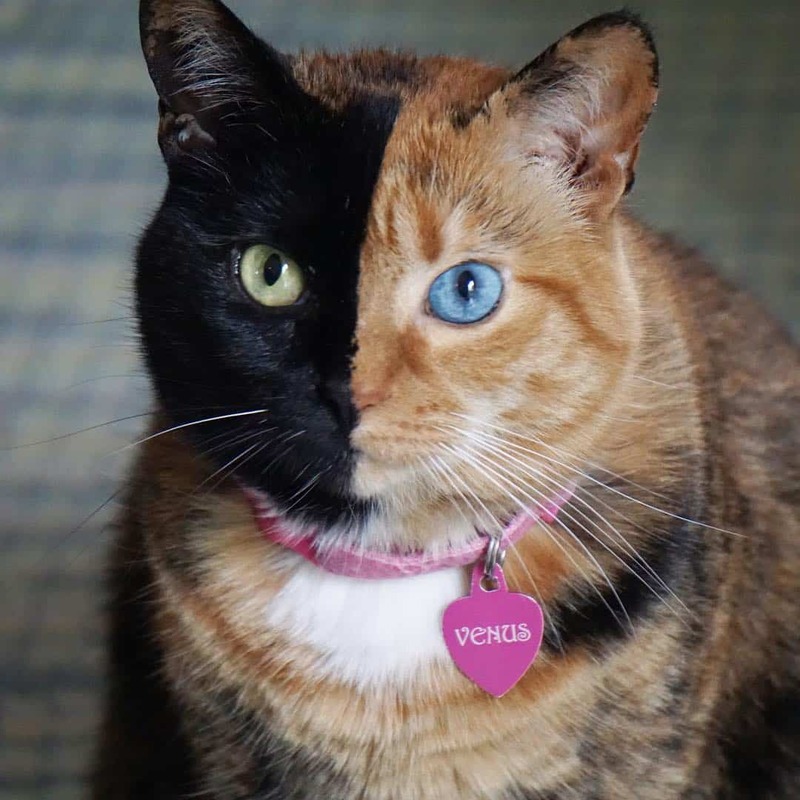 That’s how Venus got her signature two-sided face coloration according to Professor Lyons. 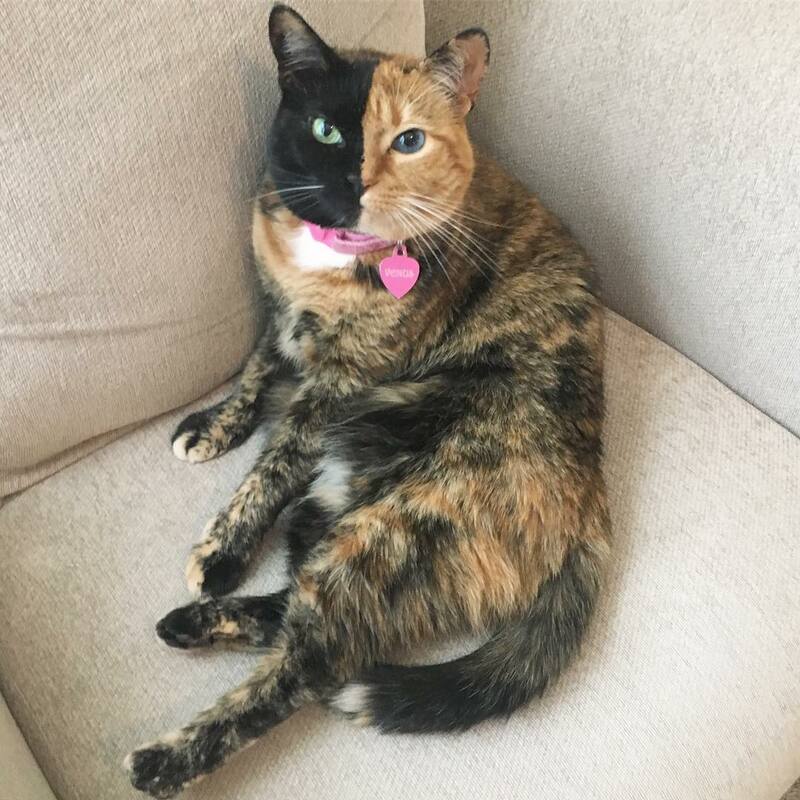 Venus is unique, adorable and a internet fan favorite cat celebrity. 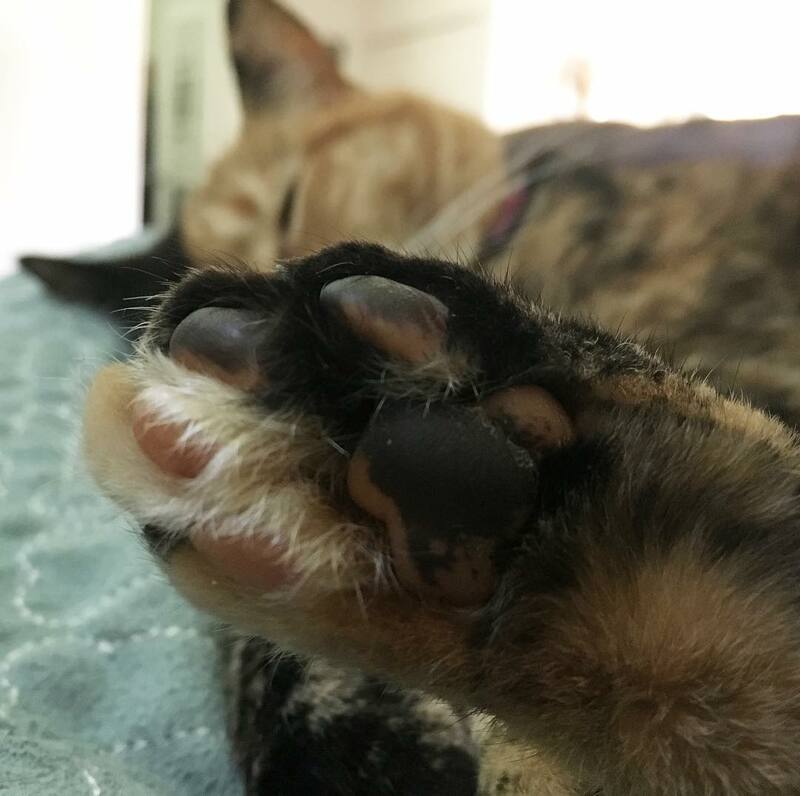 We truly love her uniqueness.